Preetha Ramasubramanian is a qualified Dance Movement Psychotherapist (DMP) who has an MA in DMP and passed out with a distinction from Goldsmiths College, University of London. She also has a M.Sc. in Psychology from University of Madras and a PGDip in Special Education from Vidya Sagar, Chennai. Preetha is an advisory board member for the Creative Movement Therapy Association of India (CMTAI). Preetha took to dance when she was 6 and is a professionally trained dancer in varied dance forms. 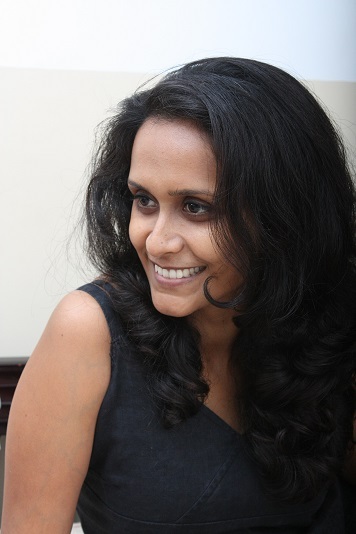 Preetha started her professional career at Vidyasagar – formerly the spastic society of India and went on to head the creative movement department. To gain international exposure she moved to the UK and worked as a special educator at Walton Leigh School, Surrey. During her period with Vidayasagar and Walton leigh, she witnessed how movement and dance helped people think and talk about their feelings. As a professional dance teacher in modern dance, she witnessed an overall change in people’s wellbeing through dance. This inspired her to explore how movement can be used as an expressive tool and led her to higher studies in Dance Movement Psychotherapy and a career in the psychotherapy domain. As a dance movement psychotherapist she gained broad exposure in the UK working in different settings such as forensic psychiatric unit, special and mainstream schools. On her return to India, Preetha founded Kinesthetics – Dance Movement Psychotherapy and counseling center, where she works with both children and adults. Apart from that she also supervises and consults for peers, junior creative arts therapists and counselling psychologists in various settings. Preetha is also called in to conduct group / individual sessions and workshops in educational institutions, health care setups and in the corporate sector. She is invited as a guest lecture in various universities and does a lot of collaborative therapeutic work with other professionals. Foundation course in Expressive & Creative Arts Therapies (FECAT), conducted by the Studio for Movement Arts & Therapies Trust (SMArT Trust), Bangalore.